Rhizovator products have been developed to build biostimulants into standard farming practise. 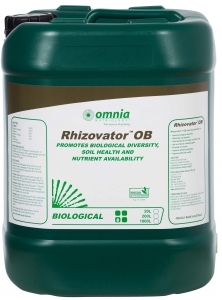 Specifically formulated for row placement near the seed of grain crops to enhance root health and growth. This product must be applied to the soil and can diluted for ease of spreading. 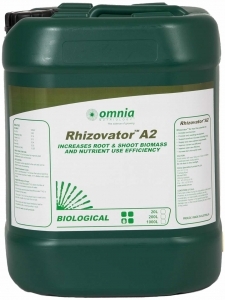 Apply 4 L/ha down the tube at planting in a convenient volume of water. A 1:5 dilution with water is ideal. Apply 6-12 L/ha down the tube at planting in a convenient volume of water. 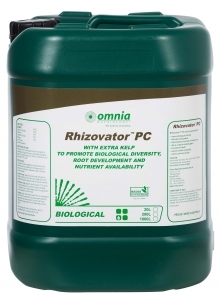 It is strongly recommended that Rhizovator™ is not placed on the seed. 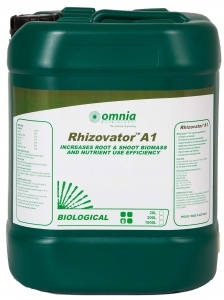 Rhizovator™ A1 is to be placed over or next to the seed with a buffer of at least 2cm of soil.